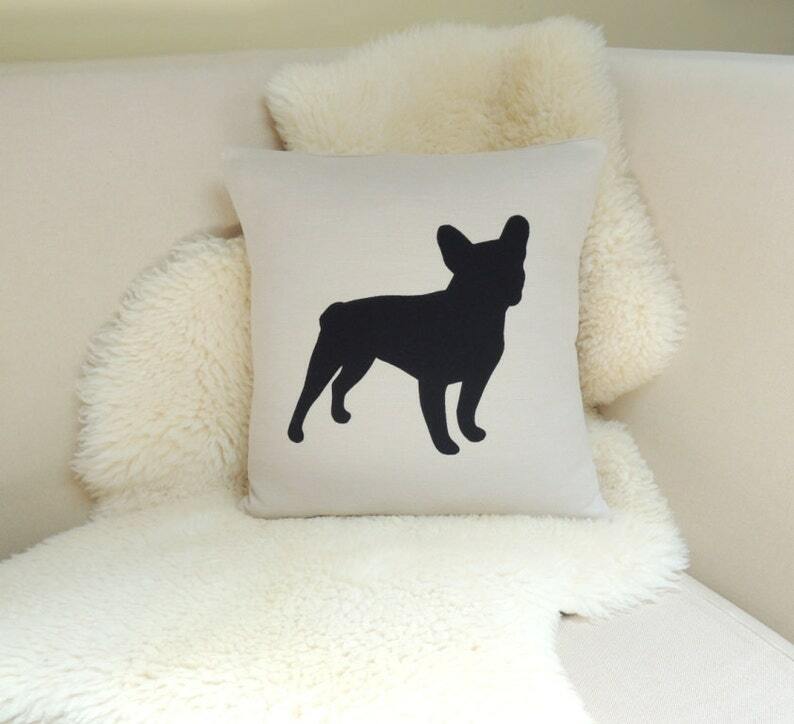 This French Bulldog appliqué pillow cover celebrates your spunky sidekick and adds a rustic luxe layer to your interior space with its flax beige linen background and silhouette in classic black. 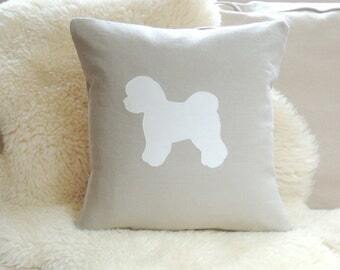 This dapper pup looks fetching displayed on a sofa, in a chair or greeting your guests on an entryway bench. A facing pair makes a striking statement on a bed or sitting pretty individually in a pair of chairs. Choose the Frenchie silhouette to coordinate with your decor in black, white, ivory, dark charcoal gray or navy blue. Celebrate your pup during the holidays with a Christmas stocking! French Bulldog Pillow Cover. Design & Images © Vixen Goods. All rights reserved.